Leave it to the Brown Eyed Baker to inspire another one of my baking sessions. 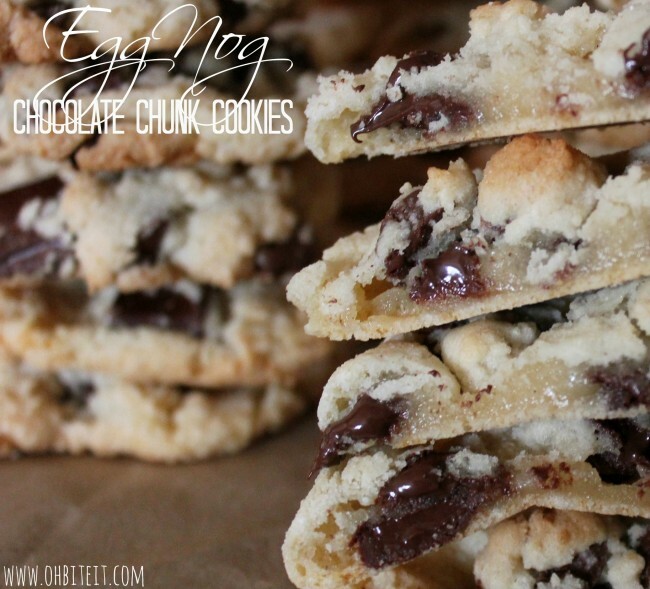 I tastespotted these Dark Chocolate Chunk Eggnog Cookies and immediately added them to my pinterest list. I made a few substitutions to the recipe; dairy free eggnog, gluten free all purpose flour, Enjoylife chocolate chips, and earth balance. I also added a pinch or two of nutmeg to enhance the eggnog flavor. These cookies were light and moist in the center with crispy edges just as I like them. The eggnog flavor is subtle but perfectly enhances this chocolate chip cookie. Click the link below for the A+mazing recipe! Those sound absolutely divine! Thank you for sharing, I will be trying these!